Over 200,000 coconuts were handed over to Lanka Sathosa by Elkaduwa and Kurunegala Plantations companies to be sold at a concessionary rate with the upcoming Thai Pongal festival. This is according to the instructions given to the Public Enterprise Development Minister Kabir Hashim by President Maithripala Sirisena and the Prime Minister Ranil Wickremesinghe. Kurunegala Plantations Company Sales Manager Jagath Jayawardena said, “Over 200,000 coconuts were handed over to Lanaka Sathosa on December 31, 2017 by the Kurunegala Plantations Company”. Meanwhile, Elkaduwa Plantations Company General Manager Roshantha Perera said they had handed over more than 50,000 coconuts to Lanka Sathosa”. 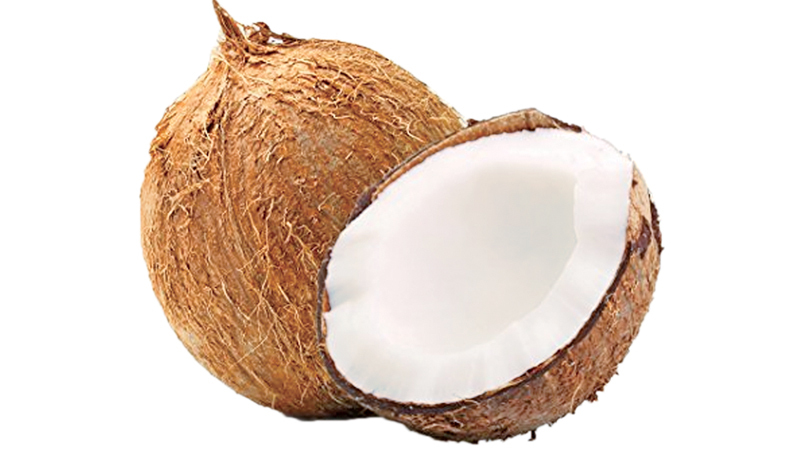 Jayawardena added that there are enough stocks of coconut provided to Lanka Sathosa and to stop handing over more until Lanka Sathosa informs that they need more. He said the plantation companies will take necessary steps in providing stocks whenever Lanka Sathosa demands more. “Buyers can purchase a maximum of 10 coconuts at the sales shop in front of the Kurunegala Plantation Company at Rs. 65 per coconut,” he said. Jayawardena said, “There are about 4,000 workers at the Elkaduwa Plantation Company and they will be given dry rations and coconuts at a concessionary price with the Thai Pongal festival by the company”.